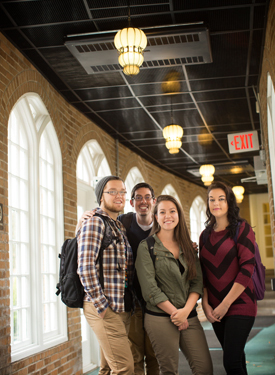 What sets Misericordia University apart? In my opinion, it is the people, the kindness, and the hospitality exhibited to all that makes us so special. We are a community that cares about others, integrating service into our academic and personal lives. I also believe that at the core of our culture, is Mercy, one of our charisms that has been guiding Misericordia since its founding by the Sisters of Mercy in 1924.